PRADA, known for its high-end handbags, shoes and other luxury accessories, is expanding its premium brand to the Japanese cellphone market. 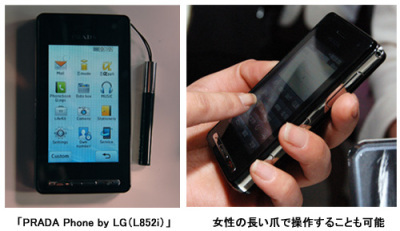 Though it may be a latecomer to the PRADA phone fold, Japan's advanced mobile infrastructure allows the handset's manufacturer, LG, an opportunity to pack the phone with a host of features unavailable in most other countries. 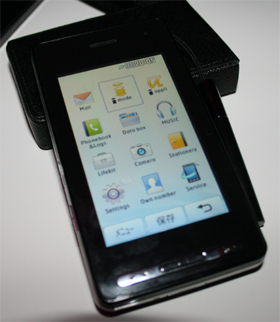 Going by model number L852i, the slim, sleek & subdued black PRADA handset will be sold at mobile shops across Japan and can also be ordered through DoCoMo, one of the country's largest phone service providers. There appears to be a thriving market for high-end cellphones that look great - many women especially treat them as fashion accessories and not communication appliances. 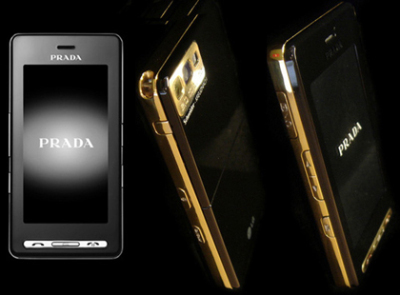 Already some PRADA phones are being offered in upgraded, gold-trimmed cases, but PRADA feels that just having their name on the phones is enough to attract wealthy consumers in Japan.